AUSTIN, Texas -- George P. Bush was elected Texas land commissioner in a landslide Tuesday, winning a little-known but powerful post that could eventually lead to higher offices and becoming the first in his family's political dynasty to win his first race. Bush, a 38-year-old Fort Worth attorney and energy consultant, raised more than $3 million against his little-known Democratic opponent, former El Paso Mayor John Cook. Nonetheless, he spent months crisscrossing the state in a campaign bus adorned with his towering, grinning face. Bush is the grandson of former President George H.W. Bush and nephew of President George W. Bush, who was Texas governor before taking the White House. His father, Jeb, is a former Florida governor who is considering a presidential run in 2016. But none of them--nor the family patriarch and source of George P.'s middle name, long-serving Connecticut Sen. Prescott Bush--won their first races. His grandfather lost a U.S. Senate race in Texas in 1964, while his uncle lost his 1978 congressional bid. Jeb Bush wasn't elected Florida governor until his second try, and Prescott Bush, George P.'s great-grandfather, came up short in his first Senate race in 1950. Bush may have spilled a family secret last month in an interview with ABC News by saying it's "more than likely" his dad will run for president in 2016. "If you had asked me a few years back, I would have said it was less likely," Bush said, adding that if Jeb decides to run, "The family will be behind him 100 percent." Bush's mother, Columba, is from Mexico and he's fluent in Spanish. Many of Texas' top Republicans view him as key to courting the state's growing Hispanic population. Bush acknowledges the GOP has historically failed to reach out to young people and Hispanics, but likes to quip, "Those are two groups I know something about. In fact, I am those two groups." The Texas land commissioner advocates for military veterans while administering the state's publicly held lands and overseeing mineral rights for oil and gas concerns. The office also controls revenues from that booming sector, which feeds the Permanent School Fund and which helps pay public education costs. The fund recently surpassed Harvard University's as the nation's largest educational endowment. The four-year post has in the past led to loftier statewide offices. Lt. Gov. David Dewhurst was land commissioner before taking over the job he's held since 2003. 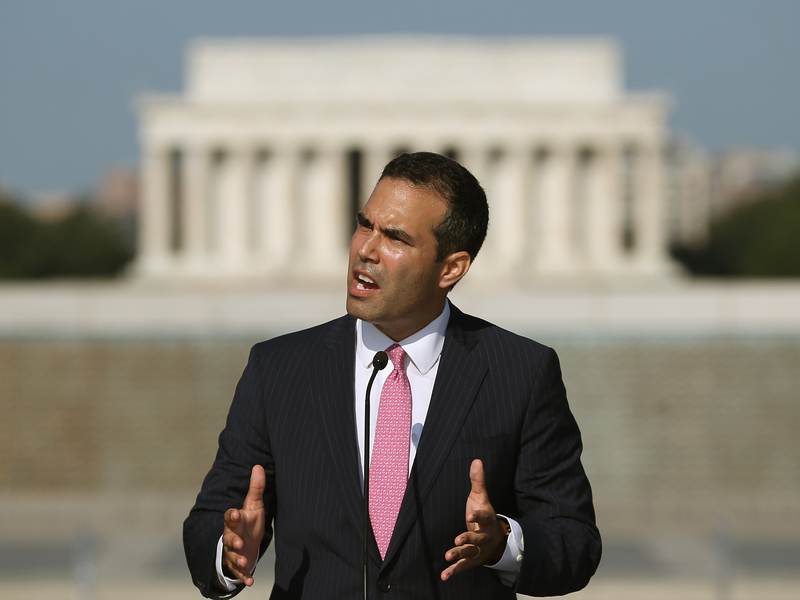 George P. Bush says he's focused on the land commissioner's office because it best fits his qualifications. He once taught school in Miami, and he served an eight-month tour in Afghanistan with U.S. Naval Intelligence under an assumed name. The land commissioner-elect says his grandmother, former first lady Barbara Bush, urged each member of the family to make their own names for themselves--and he implored Texans to judge him on his individual merits, rather than the strength of his surname.